LCFI Statement on International Women’s Day 8 March 2012. Clara Zetkin (1857 – 1933) was a German Marxist theorist, activist, and fighter for women’s rights. In 1911, she organized the first International Women’s Day. It is the common misconception that all of this is due to the backward, barbaric cultures of these regions and the United Nations is doing the best job possible in combating this appalling treatment of women, much of it down to Islamic fundamentalism and/or Hindu chauvinism. However Sylvia Tamale, a Ugandan legal scholar, says about female genital mutilation (FGM) that some African feminists object to what she calls the imperialist infantilisation of African women, and they reject the idea that FGM is nothing but a barbaric rejection of modernity. Tamale suggests that there are cultural and political aspects to the practice’s continuation that make opposition to it a complex issue. “Post-cold war, New-World-Order time, it looks good for the M-I-I-C  and their global partners in crime, the World Bank and the IMF. They’ve got their NAFTA and their GATT World Trade Organization. They’re dictating economic, political and social development all over the Third World and Eastern Europe. Moscow’s reaction to events anywhere is no longer a restraining consideration. Women’s ‘rights’ are advancing in inverse proportion to the impoverishment and increased oppression of working class women in the advanced metropolitan countries and the absolute degradation and humiliation of women on the semi-colonies world as outlined by this TrustLaw survey. Therefore the simple solution is to overthrow capitalism world-wide and impose equality and all will be well, it seems at first glance. However if we look at the terrible position of women in Afghanistan today we see we must propose a far more serious revolutionary programme. And here we have to go back to see how the new revolutionary Soviet regime dealt with these problems in the short few years before Stalinisation imposed its brutal methods of suppression that contained for a few decades but could never eliminate backward fundamentalist reaction. The secret of women’s oppression in Afghanistan, for instance, lies in the material conditions of rural life. 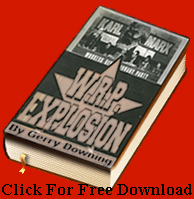 After the ‘Glorious Saur Revolution’ in April 1978 the Peoples Democratic Party of Afghanistan (PDPA) attempted to impose the ‘revolution’ from above in such a bureaucratic, heavy handed fashion that it stood no chance. They rode rough-shod over tribal customs and religious sensitivities and prejudices alike. For examples they granted land to the landless peasants without the provision of bank credit to fertilise it or buy seed. In consequence the peasants were forced back to the very landlords who had been expropriated when it was presented to the peasants by the ‘revolution’ in the first place. In many cases they had to accept the most humiliating terms and punishments from these reactionaries, including self- mutilations, for their ‘anti-Islamic actions’. But on the women question their terrible bureaucratic methods opened the door for today’s appalling situation. The PDPA failed to conduct any preparatory campaign against all the other reactionary customs like women’s oppression, e.g., the selling of daughters in forced marriages – the Kalym (bride price) -, etc. They issued ‘binding’ decrees but did not provide any viable alternative. They naturally did not expropriate the landowners by mobilising the peasants. Dale Ross (D. L. Reissner), the first editor of the SL’s (Spartacist League, James Robertson’s US split from the SWP in 1963) ‘Women and Revolution’, explained that method and history well in her article ‘Early Bolshevik Work among Women of the Soviet East’ (Issue No. 12 Summer 1976). She goes into great detail to explain the difference between the Bolshevik method of approaching this work and both the Menshevik and Stalinist method. In the period when the Mensheviks held control in the Caucuses region they pioneered the methods of brutal imposition of “progress” which Stalinism later adopted, which stood in such contrast to authentic Bolshevik methods. The Zhenotdel, the Bolshevik organisation of revolutionary women, did the best work here in the years of revolution between the end of the Civil War in 1920 and the beginnings of the Stalinisation of the party in 1924. There is no need to ask which method the PDPA and the ‘Red Army’ operated in Afghanistan. Or which method the ICL supported so uncritically after the 1979 Soviet invasion. The following quotes from that article stand in total repudiation to the ICL’s posturing Stalinophilia in Afghanistan. Note in particular the great detail given of the sensitivity of approach of the revolutionary Bolsheviks to local custom and law, in total contrast to the Menshevik and Stalinist methods. This also must be the method of approach on the question of female genital mutilation discussed below. “The Bolsheviks viewed the extreme oppression of women as an indicator of the primitive level of the whole society, but their approach was based on materialism, not moralism. They understood that the fact that women were veiled and caged, bought and sold, was but the surface of the problem. Kalym was not some sinister plot against womankind, but the institution which was central to the organisation of production, integrally connected to land and water rights. Payment of Kalym, often by the whole clan over a long period of time, committed those involved to an elaborate system of debt, duties and loyalties which ultimately led to participation in the private armies of the local beys (landowners and wholesale merchants). All commitments were thus backed up with the threat of feuds and blood vengeance. 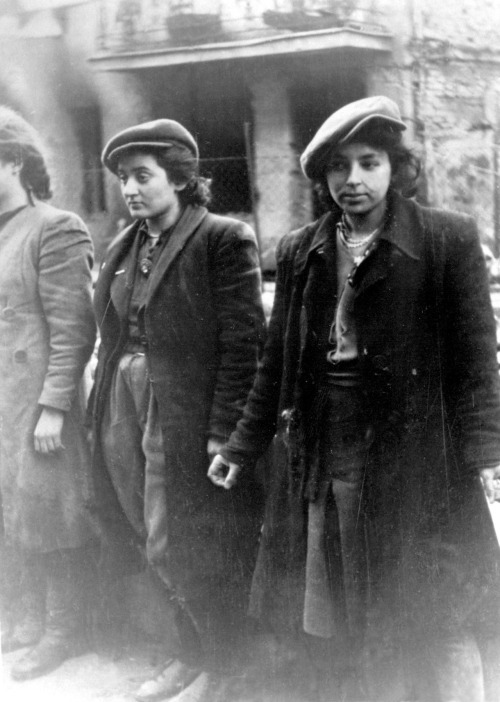 Jewish resistance women, warsaw ghetto uprising, may 1943., always resist.never forget. The best results against fundamentalism were achieved by women revolutionaries of the Zhenotdel using the transitional method of Bolshevism, as Dale Ross describes. The Afghan 1978 coupists were no revolutionaries, had no knowledge of and did not want to know about the methods of Marxist revolutionaries. They feared the consequences of utilising such tactics and were utterly opposed to them. They preferred their own bureaucratic ‘suicidal policies’, as Dale Ross says above. Despite disagreements with the RAWA this highlights the role of Imperialism in promoting Islamic fundamentalism whenever it is in their interests, be it in Afghanistan in the early 1980s or in Libya and Syria in 2011-12. We can see from the phrase “they are dependent on men for social and economic survival” that it is the relations of production in these rural villages that perpetrate this barbaric custom. The law of combined and uneven development as outlined by Trotsky finds its expression in this terrible area. It is part of the bride price custom as is in Afghanistan and all over the African/South Asian region. It regards the woman as the private property of her father (and men in general) to be sold to her new husband. It is bound up with all those local customs and tribal laws that sustain the local economy and which grow ever more bitter and demanding as capital penetrates every aspect of life. Here the growing of food for family consumption, the subsistence economy, is continually replaced by growing cash crops for export to redress ‘balance of payment deficits’ imposed by the IMF and the WTO in the first place. A great number of nominally sovereign states have no real autonomy or effective sovereignty in their economic relations with the world market. These semi-colonies, beginning with India, pursued a version of the Soviet planned economy after WWII, with import substitution and subsidies to native industries because they were conscious that reliance on primary produce left them vulnerable to the world market where the price of primary produce was relative inelastic. That is the metropolitan consumers would only drink so much tea and coffee, and require so much clothing and footwear no matter how cheap. And overproduction inevitable led to a drop in the price. The infant industries in these countries needed tariff barriers in the beginning to compete on the world market. The IMF allowed the Asian tigers to do that as a bulwark against communism, but the rest of the world, Latin America, Africa and South Asia faced a few major huge crises like 1973. World crisis in the international economy and the huge hike in oil prices had severe consequences for the semi-colonial world. Many became effectively bankrupt and world Imperialism bailed them out with their brutal structural adjustment programmes which destroyed for a generation their ability to plan anything in their own economy and left them at the mercy of the free market wolves. The triumph of neo-liberalism with the fall of the USSR in 1991 opened the door for the present sub-prime crises, now engulfing the whole world. Women bear the brunt of this crisis, and female genital mutilation is the village expression of how the patriarchal society survive economically. The combination of economic liberation of a global socialist revolution and then the ideological methods of struggle of the early Bolsheviks is how to combat this, not the bogus, ‘rights’ campaigns of the UN which brings increasing oppressions in its wake. Goldman Sachs have a “10,000 Women” programme to educate and promote this number of women to be entrepreneurs in Africa. “Female education is a driver of macroeconomic growth” in Uganda they tell us while they rip the heart and soul out of Africa economically. And they, and their transnational corporation comrades, reap the lion’s share of the profits from Africa and South Asia. According as every part of the globe is drawn into the vortex of the finance capital’s neo-liberal nightmare the contradictions like women’s oppression, famine and extreme impoverishment grow ever worse. The World Health Organization estimates it will take a minimum of ten years to reduce the prevalence of genital mutilation, and three generations to eradicate it. “Rosalie Mukangenzi, the owner of a successful flour mill… With a micro-loan, she started a charcoal business, but in 2008, she moved into milling flour since she thought it could be more profitable. Before the 10,000 Women program, she had only felt comfortable taking small loans, but after graduating, she had the skills and confidence to take on more debt to expand her business. She opened a retail store, hired more employees (when I visited her in 2010, she employed fourteen men and three women), and increased her sales four-fold. She has built a new home for her family, which she plans on using as collateral for her next loan application. These are pipe dreams, obscene versions of the American dream for the billions in the semi-colonial world. It will never happen as long as these material conditions prevail. World Imperialism, whose agents the UN and the WHO are, will never organise its overthrow, that task belongs to the revolutionary workers organisations, the Fourth International when it is reconstructed. 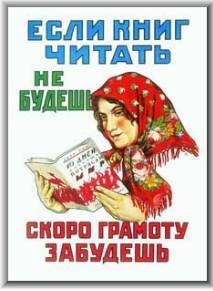 That is the prime task we must all set ourselves on this International Women’s Day, 8 March 2012. Tamale, Sylvia. African Sexualities: A Reader. Fahamu/Pambazuka, 2011, pp. 19–20, 78, 89–90. Refers to the academic movement linked to Pax Romana – the international federation of Catholic intellectuals, one of the oldest international lay Catholic movements. It was created in two stages: in 1921 IMCS/MIEC (the student movement) and 1947 ICMICA/MIIC (academic movement) as a response of Catholic university lecturers and students to the need to build a peaceful world after experience of two world wars. Its name, which refers to the peace existing in the days of Christ, this movement has received in 1921 from Pope Benedict XV. « Socialist Fight Comment the Greek Elections of 2012.